touches of sense...: In a tangle. That's it, now I am completely lost. I am not at all sure how to draw a/the line. I am in a bit (?) of a tangle. I am not at all sure whether drawing a line is appropriate. I am only sure that drawing or should I say typing this is making me feel like it's a life-line. Where there is life there is hope as they say. I mean I could see it when I was typing. I am not even sure of myself! Am I: English, French, a learner, a teacher, a researcher, a facilitator, an academic, a writer, a pundit, a critic? I am not sure that one answer is ever adequate to such a question. Simon, @sensor63, Simon Ensor. Simon David Anthony Ensor. Learner. l) none of the above? m) all of the above? I was reading Frances Bell's post 'Cool Webs for Rhizo 14' and an ensuing discussion about the value of spaces which are 'Cool'. For some people 'cool' is associated with a blog. So is this blog space 'cool'? If I then post it on Twitter or in a FB group does it remain cool? Is a back-channel (where I let fly my feelings) cool? I am at a loss to understand this concept of a 'cool web'. "I am thinking of the cool web as a safer space where people with different assumptions/ languages/ cultures can try to engage in dialogue without too much pain." I am not at all sure that this space on my blog is necessarily safe from pain. Is this an issue of a particular space or an issue of a particular relationship that I might have with someone? "When I teach cross-cultural psychology in a business context we often focus on the need to attend to what is taken as self-evident and to presuppose that, even that which seems ‘outrageous’ to somebody in a culture they do not understand, has a basis that makes sense for the group of people adopting the given action." I am getting the distinct impression that this is not about 'cool webs' but about 'cool people' who are able to question their assumptions, their own ways of being and of communicating. So this is not a question of a particular space but of developing a trusting relationship? On the whole I would say that Rhizo 14 has been a 'cool course' with 'cool people' . (but maybe I am using a different meaning of cool here - sorry). I would include Frances and others who comment on her blog as 'cool people'. (provisionally, until I decide they slip momentarily into another category; it rather depends on if/how they respond to this blog post). Ultimately we will all be 'cool people'. (I digress and in my attempted humour I make an elementary mistake, I think even dead people are not at all necessarily cool. Indeed SOME very DEAD PEOPLE are definitely NOT and will NEVER BE COOL). I apologise for the shrieking capitals here, but I rather like them, and this is my domain. What is loud? What is silence? I have been having a continuing discussion with Marianna (so silent that she may not be aware of it) about the question and value of silence. I am very much intrigued about this question. I always remember the power and importance of silence from my days as a counsellor, and as a salesperson and now as a teacher. Silence has the potential for great power in a relationship. Stony silence is in my experience undoubtedly NOT 'cool'. So being silent would not necessarily be a means to establish 'cool webs', it might have exactly the opposite effect. If I participate actively in a space am I facilitating conversation or silencing others? What is the appropriate volume of participation? If that is the case then we might have to wait a LONG time (and it wouldn't be really very rhizomatic IMHO). If I leave silent participants be silent am I excluding them or am I being respectful? I remember my father at the end of his life who would find the 'noise' of his grandchildren oppressive. I can fully understand that. His grandchildren were not being noisy (I can assure you I know the difference) they were excited to see him and wanted him to play with them. When he was younger he would have loved the rough and tumble and the noise. It was so frustrating for all of us when we were divided by volume. I remember being sad at the volume of the television which stopped all conversation. What was low volume for him was high volume for us. I have been intrigued at conversations going on around this issue of 'noise' and 'silence' on the web. I am not sure if I am in a 'cool web' or a 'hot web'. Maybe I carry my own personal micro-climate with me, whereever I am? I noted a twitter conversation the other day. I even replied to it. Then I thought better of it. I agreed with Nick Kearney, yes 'sometimes the only response is silence'. Is his tweet an example of the 'cool web' the #stillweb? I suppose if he puts the hashtag #stillweb it must be. If I put a grisly image on the hashtag #stillweb will it still be #stillweb? (probably not). I am not sure about this 'cool web' business. Maybe it is not about a space but a relationship? Should I tweet him a link to this post? Will he regard it as noise? Nothing is clear for me. Frances talks of pain in her comments to her post. What is painful for me would certainly not be painful for others. I may have developed high resistance to pain. "We might cool down the conversation with explicit norms, clarifying our objectives and assumptions,offer facilitation and other support in an attempt to achieve real dialogue. Over time the constraints could be loosened." I wonder who it is 'we'? I wonder what 'cooling down conversation' means? Will this blog post be cool and within explicit norms? I am not sure. I shall ask Frances (that is a joke Frances). Would an emotional blog post be cool and within explicit norms? Who will decide on the emotional charge? Wouldn't a legalistic or scientific article be a cause of pain for someone? I am in a (bit) of a tangle. I suppose this is my attempt to ask respectfully the question. I am sorry if I offend. I shall be a little upset (emotional blackmail and silencing tactic?). There has been much talk 'in' #rhizo14 of community, all over the spaces. I suppose Dave Cormier should be happy about that. He did entitle his course 'The community is the curriculum'. I am having great problems with this idea of 'community'. I am having so many problems with it that I shall have a short pause to muster strength. Here is a musical interlude offered by the great (my opinion) Serge Gainsbourg. "Who is in? Who is out?". "Who is in? Who is out?" and when and where and who decides? Frankly this is quite clear for me now. There is not one community. These multiple communities are not fixed (much). I am not sure that I feel that I belong to any particular community. I don't do belonging very well. Of course this feeling doesn't mean that I don't belong to a or several community/ies. I have clearly identifiable traits - I am a man for example. (of this I AM SURE). I have behaviours which mark me as a community member, like speaking English with a more or less middle class pronunciation with twinges from the North West and some French derived borrowings. I am a human tangle embodied. Dave Cormier, I think that he agreed to the idea that there were a number of communities in #rhizo14 in an interview that I vaguely remember with Maha and Sarah. How long do a bunch of people have to stay together to consider themselves a community? How long do a bunch of people have to stay together for others to consider them a community? I think that the "rhizo14" community has never ever been fixed if we consider that there might be one. That being the case there can never be A CURRICULUM, but multiple, dynamic, oscillating and competing curricula. So I suppose I could say that the varied and fluctuating communities in and around rhizo14 have varied and fluctuating curricula. If we consider that the course was about Rhizomatic Learning, it would seem to me that this is as far as we can take it. There can never be at any time A COMMUNITY or A CURRICULA. 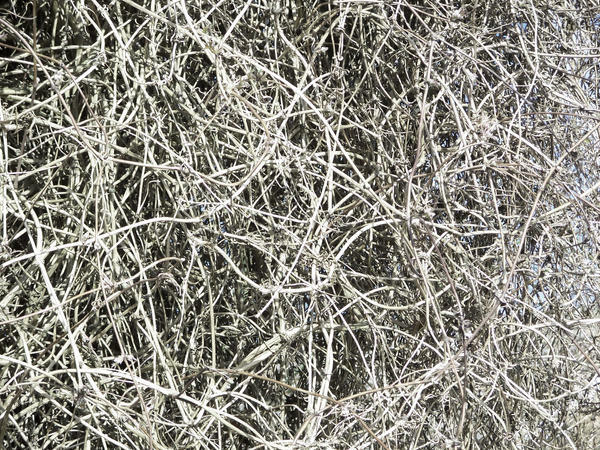 If there is no 'cool web' or 'hot web' and no 'COMMUNITY' nor 'CURRICULUM' then that is chaotic, exciting and potentially full of risk and power struggles - a bit like life. Ethics for MOOCs: Assertive Humility. Ethics for life (and a better world): Assertive Humility. If there is no one 'COMMUNITY' then there can only ever be personal ethics and desires which will vary and fluctuate according to who, with whom and when and where people interact. There are moments when I prefer (like now) a bit of peace to sit down and reflect. There are moments when I am moved to formal academic research. There are moments when I find people in general and people in particular annoying, hypocritical, contradictory, bossy, noisy, disrespectful, snooty, superior, confusing, boring, egocentric [add any negative adjective] and I include myself in those negative qualificatives applied to people. I prefer to be inclusive. There are two stories associated with rhizome and rhizo 14 which I would like to highlight. There is a story of hope and there is a story of hopelessness. There is a light side and there is a dark side. On one side of the coin (the light side) there is the possibility that diversely humoured and skilled people can learn to live like the baboons in the video 'Understanding the Effects of Hierarchy in Society" that Howard Rheingold shared with me the other day. With the Alpha males dead, they lose their desire for dominance and hierarchy and become increasingly forgiving and open. There is the hope that we can learn to live with our differences, value our different perspectives, take a deep breath or two when we feel like we are being talked down to or ignored, or excluded, or... (add any negative feeling towards others) and try to work towards more open, perhaps less rigid societies which allow for diversity and mutual respect. On the other side of the coin (the dark side) we can take from #rhizo 14, an impression of fixed positions, fixed labels, fixes spaces, hierarchies, stories of power struggle, memories of the inabilities of humans to use their imaginations to see the other peoples' point of view. We can imagine rigid and unchanging community lines, a need for rigid policing of behaviour, a need for a quota of words written, a series of instructions as to acceptable forms of expression. I doubt that anybody in #rhizo14 would really want that. I hope that I am mistaken. On the other hand there might be another group of extremists who might emerge and become dominant. They might decide to follow the actions of Pol Pot and decide that all Alpha males, and in particular those who they consider to be senior academics should be sent to the killing fields, with the objective of achieving an earthly paradise and a 'less violent society'. The rhizome, nature, and humans in particular do have an ugly side. I prefer to live in hope (perhaps stupidly). Yes, I accept that Rhizo 14 is an experiment. I often change my mind. I am hopelessly and annoyingly inconsistent. That in itself gives me some cause for hope. I am happy to be in a tangle. Thank you for your part in my tangle. Thanks Simon for the read. Like you I am interested in community(ies) particularly their formation. "So I suppose I could say that the varied and fluctuating communities in and around rhizo14 have varied and fluctuating curricula. " I wonder how these co-exist - in a warm soup of happiness? Clearly not at present. If ever (unlikely). wait. do any entities ever co-exist in a warm soup of happiness?
" life is a minestrone "
Probably not what Lol Creme meant, but all the different bits lead to a pretty special combination - when the temperature is right and the ingredients are fresh. Overheated or stale just doesn't work. Sent an email annotation to you. Sorry for missing out smiley. I don't think the warm soup of happiness would sustain the co-existence of different groups/ communities / whatever they see themselves to be but I do wonder quite a lot about what might. Frances that is the end of a beautiful relationship Doom is a smiley away. If only I could vaguely understand what you mean I could comment - oops I just have.